HEROES have a journey and hers’ is one! 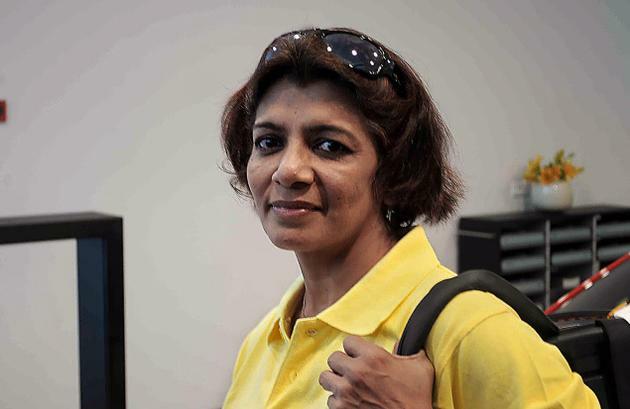 48-year-old Ritu Biyani Joseph is a breast cancer survivor. Well, she is more than a survivor. She is an art of heroism that every struggler should look up to. “I took photographs of myself bald. How many people get to do that other than models? I never wore a wig or tied a scarf. I flaunted my new look.” She explained in an interview. Ritu Biyani was the first women from her conservative Marwari community to join the Indian army, the first woman paratrooper from the Dental Corps. The taboo of breast cancer is so much to do with the looks of women, both physically and emotionally and here. She not only defeated breast cancer but also the taboo attached to women on basis of looks, characters and professor. Heroic is what a person does to a point when no one acts. In an inspiring journey in 2006 Ritu and her then 14-year-old daughter, Tista, drove through 30,220 km in 177 days across the four tips of India and some of the highest motor-able roads in the world to conduct over 140 breast, cervix and oral cancer awareness workshops. The mother-daughter duo innovatively used basic ICT tools such as PPT presentations, LCD projectors, community mikes and SMS to convey their message, keeping the narrative visual and interesting. The mother-daughter duo introduced technology to people even before they thought they needed it. After working for a prolonged period “Highway Infinite” (Breast Cancer Survivor) thirty-three projects from across India, Afghanistan, Bangladesh, Bhutan, Nepal, Pakistan and Sri Lanka were recognized for their contribution. Irrespective of being recognized Ritu and her daughter were more of a change-maker than a marketer. Hers is a journey to cherish beyond looks, stereotypes & eventually cancer.